Hemmings reports that the Texas state DMV has outlawed any rebodied vehicles. In addition to outlawing these vehicles, they also started to revoke titles and registrations for dune buggies in the state. As far back as 2013, the Texas Department of Motor Vehicles put a halt to registrations of newly built dune buggies, grandfathering in previously built and registered dune buggies. While some owners of Volkswagen-based fiberglass-bodied beach cars reported success registering their kit cars under the donor vehicle’s identity, the state DMV in March 2015 adopted Texas Administrative Rule 217.3 (6), which explicitly made any vehicle “designed or determined by the department to be a dune buggy” ineligible for title “regardless of the vehicle’s previous title and/or registration.” The only other vehicles that, as a group, the Texas Administrative Code specifies as ineligible for title are race cars, off-road vehicles, and flooded cars. 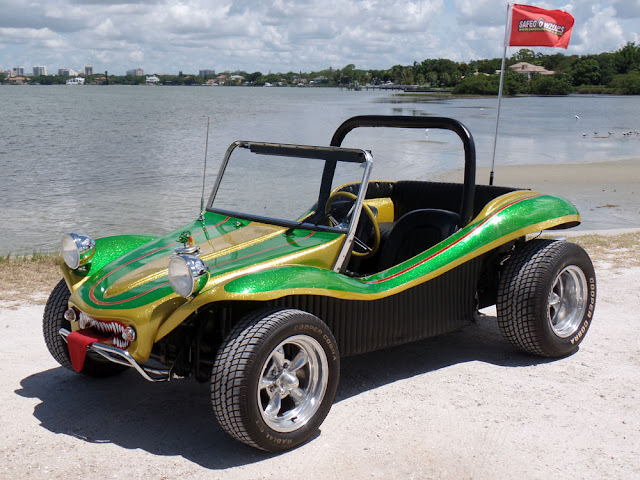 While the dune buggy ban only directly effects Texas residents, Parisien said it has implications for dune buggy and other specialty vehicle owners across the country. No other state in the country has a similar outright ban on dune buggies, though a number of them do refuse to issue titles or registration for sand rails. In of all places, Texas. Land of the free, home of the brave. What is this world coming to?